Birds are animals with unique features like feathers and special lungs, and most are well designed for flight. Evolutionists believe they evolved from reptiles, maybe even a type of dinosaur. Teaching about Evolution and the Nature of Science even presents an alleged dinosaur-bird intermediate as evidence for evolution. This intermediate and other arguments for bird evolution are critically examined in this chapter. This chapter also provides detailed information on some of the unique features of birds. Karen: A student in one of my classes at university told me that there are big gaps in the fossil record. Do you know anything about that? Doug: Well, there’ Archaeopteryx. It’ a fossil that has feathers like a bird but the skeleton of a small dinosaur. It’ one of those missing links that’ not missing any more. Teaching about Evolution pictured an Archaeopteryx fossil like this one. A bird that lived 150 million years ago and had many reptilian characteristics, was discovered in 1861 and helped support the hypothesis of evolution proposed by Charles Darwin in The Origin of Species two years earlier. In the last few years, the media have run headlines about alleged ‘feathered dinosaurs’ proving that dinosaurs evolved into birds. These alleged ancestors are types of theropods, the group of carnivorous dinosaurs that includes Tyrannosaurus rex. We should remember that the media often sensationalize ‘proofs’ of evolution, but the later disproofs, even by other evolutionists, hardly rate a mention. 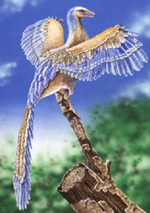 For example, in 1996 there were headlines like ‘Feathered Fossil Proves Some Dinosaurs Evolved into Birds.’5 This was about a fossil called Sinosauropteryx prima.6 Creationist publications advised readers to be skeptical and keep an open mind.7 They were vindicated when four leading paleontologists, including Yale University’ John Ostrom, later found that the ‘feathers’ were just a parallel array of fibres,8 probably collagen. The two latest discoveries are ‘dated’ at 120 to 136 million years while Archaeopteryx, a true bird, is ‘dated’ at 140 to 150 million years, making these ‘bird ancestors’ far younger than their descendants! Did gliders turn into fliers? But a gliding stage is not intermediate between a land animal and a flier. Gliders either have even longer wings than fliers (compare a glider’ wingspan with an airplane’s, or the wingspan of birds like the albatross which spend much time gliding), or have a wide membrane which is quite different from a wing (note the shape of a hang-glider or a flying squirrel). Flapping flight also requires highly controlled muscle movements to achieve flight, which in turn requires that the brain has the program for these movements. Ultimately, this requires new genetic information that a non-flying creature lacks. In short, Feduccia and Martin provide devastating criticism against the idea that birds evolved ‘ground up’ from running dinosaurs (the cursorial theory). But the dino-to-bird advocates counter with equally powerful arguments against Feduccia and Martin’ ‘trees-down’ (arboreal) theory. The evidence indicates that the critics are both right—birds did not evolve either from running dinos or from tree-living mini-crocodiles. In fact, birds did not evolve from non-birds at all! This is consistent with the biblical account that distinct kinds of birds were created on Day 5 (Gen. 1:20–23). All evolutionists believe that birds evolved from some sort of reptile, even if they can’t agree on the kind. However, reptiles and birds are very different in many ways. Flying birds have streamlined bodies, with the weight centralized for balance in flight; hollow bones for lightness which are also part of their breathing system; powerful muscles for flight, with specially designed long tendons that run over pulley-like openings in the shoulder bones; and very sharp vision. And birds have two of the most brilliantly designed structures in nature—their feathers and special lungs. The atheistic evolutionist Richard Dawkins, in a book highly recommended by Teaching about Evolution, glibly states: ‘Feathers are modified reptilian scales,’22 a widely held view among evolutionists. 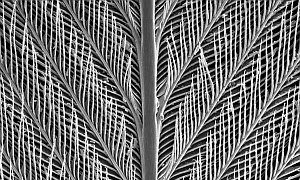 But scales are folds in skin; feathers are complex structures with a barb, barbules, and hooks. They also originate in a totally different way, from follicles inside the skin in a manner akin to hair. In chapter 2 we showed that every structure or organ must be represented by information at the genetic level, written in a chemical alphabet on the long molecule DNA. 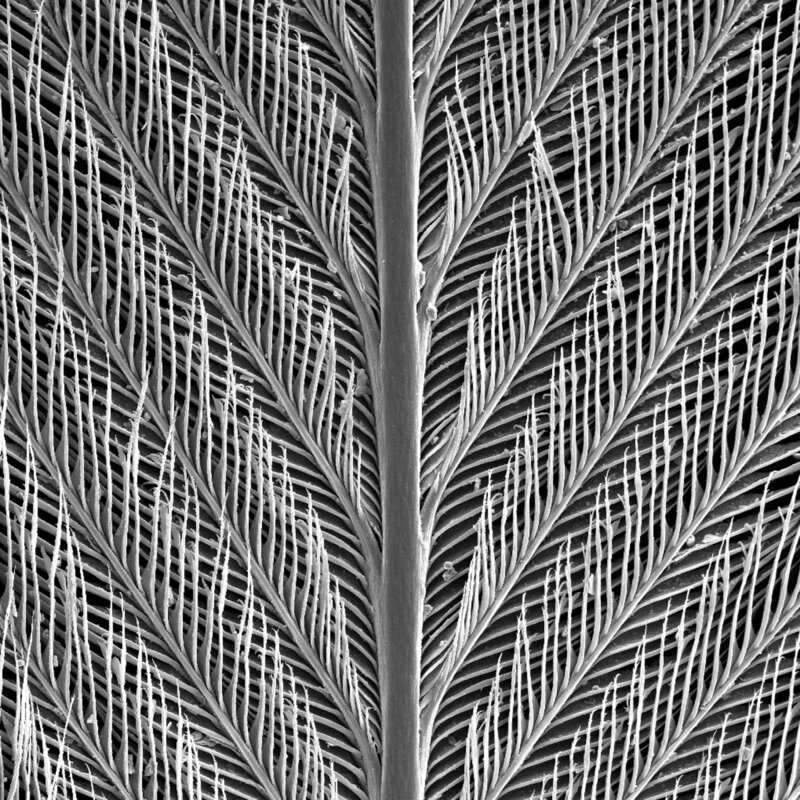 Clearly, the information required to code for the construction of a feather is of a substantially different order from that required for a scale. For scales to have evolved into feathers means that a significant amount of genetic information had to arise in the bird’ DNA which was not present in that of its alleged reptile ancestor. As usual, natural selection would not favor the hypothetical intermediate forms. Many evolutionists claim that dinosaurs developed feathers for insulation and later evolved and refined them for flight purposes. But like all such ‘just-so’ stories, this fails to explain how the new genetic information arose so it could be selected for. Another problem is that selection for heat insulation is quite different from selection for flight. On birds that have lost the ability to fly, the feathers have also lost much of their structure and become hair-like. On flightless birds, mutations degenerating the aerodynamic feather structure would not be as much a handicap as they would be on a flying bird. Therefore, natural selection would not eliminate them, and might even select for such degeneration. As usual, loss of flight and feather structure are losses of information, so are irrelevant to evolution, which requires an increase of information. All that matters is that the feathers provide insulation, and hair-like structures are fine—they work for mammals.23 That is, natural selection would work against the development of a flight feather if the feathers were needed for insulation. And hairy feathers are adequate. Downy feathers are also good insulators and are common on flightless birds. Their fluffiness is because they lack the hooks of flight feathers. 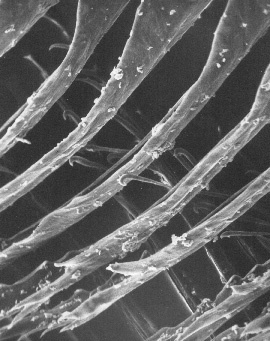 Again, natural selection would work to prevent evolution of aerodynamic feathers from heat insulators. 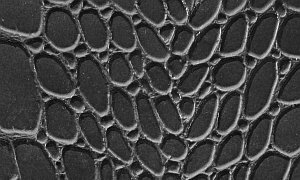 How would the ‘bellows’-style lungs of reptiles evolve gradually into avian lungs? The hypothetical intermediate stages could not conceivably function properly, meaning the poor animal would be unable to breathe. So natural selection would work to preserve the existing arrangement, by eliminating any misfit intermediates. Interestingly, some defenders of dinosaur-to-bird evolution discount this evidence against their theory by saying, ‘The proponents of this argument offer no animal whose lungs could have given rise to those in birds, which are extremely complex and are unlike the lungs of any living animal.’30 Of course, only evolutionary faith requires that bird lungs arose from lungs of another animal. Cited in V. Morell, Archaeopteryx: Early bird catches a can of worms, Science 259(5096):764–65, 5 February 1993. Return to text. Courtesy of Steve Cardno, 1994. Return to text. A. Feduccia, Evidence from claw geometry indicating arboreal habits of Archaeopteryx, Science 259(5096):790–793, 5 February 1993. Return to text. D. Menton and C. Wieland, Bird evolution flies out the window, Creation 16(4):16–19, September–November 1994. Return to text. 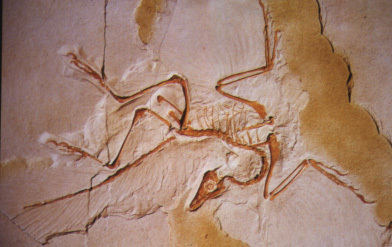 Ann Gibbons, New feathered fossil brings dinosaurs and birds closer, Science 274:720–721, 1996. Return to text. J.D. Sarfati, Kentucky fried dinosaur? Creation 19(2):6, March–May 1997. Return to text. 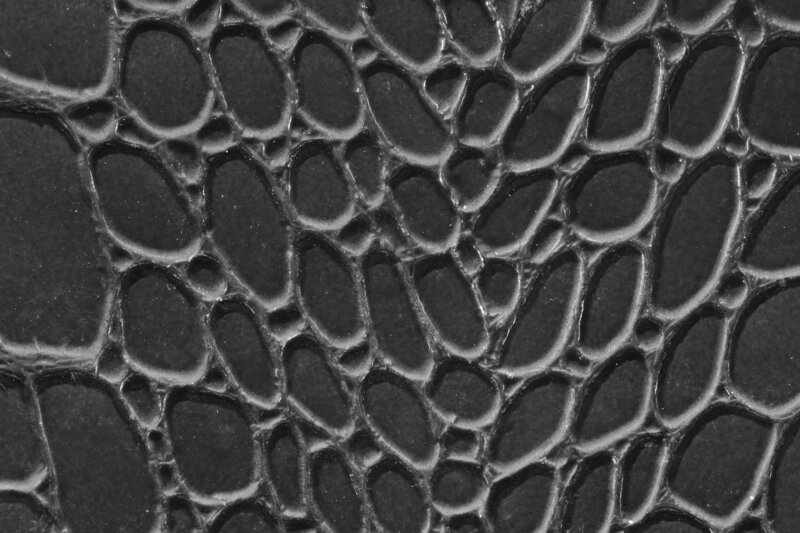 New Scientist 154(2077):13, 12 April 1997; No dino feathers after all, Creation 19(3):6, June–August 1997. Return to text. A. Perle et al., Flightless bird from the Cretaceous of Mongolia, Nature 362:623–626, 1993; note correction of the name to Mononykus, as Perle et al.’ choice, Mononychus, was already taken, Nature 363:188, 1993. Return to text. Time (Australia), 26 April 1993. Return to text. D.P. Prothero and R.M. Schoch, editors, Major Features of Vertebrate Evolution, On the Origin of Birds and of Avian Flight, by J.H. Ostrom (Knoxville, TN: University of Tennessee Press, 1994), p. 160–177. Return to text. Ji Qiang, P.J. Currie, M.A. Norell, and Ji Shu-An, Two feathered dinosaurs from northeastern China, Nature 393(6687):753–761, 25 June 1998. Perspective by K. Padian, same issue, p. 729–730. Return to text. Cited 24 June 1998, CNN website www.cnn.com. Return to text. Washington Post, 25 June 1998. Return to text. A. Gibbons, New feathered fossil brings dinosaurs and birds closer, Science 274:720–721, 1996. Return to text. A.C. Burke and A. Feduccia, Developmental patterns and the identification of homologies in the avian hand, Science 278(5338):666–8, 24 October 1997, with a perspective by R. Hinchliffe, The forward march of the bird-dinosaurs halted? p. 596–597; J.D. Sarfati, Dino-bird evolution falls flat, Creation 20(2):41, March 1998. Return to text. The Cincinnati Enquirer, 25 October 1997. Return to text. P. Shipman, Birds do it … Did dinosaurs? New Scientist 153(2067):26–31, 1 February 1997, p. 28. Return to text. A. Feduccia, The Origin and Evolution of Birds (New Haven, CT: Yale University Press, 1996), p. 130. Return to text. Photo courtesy of Dr David Menton. Return to text. R. Dawkins, Climbing Mount Improbable (Harmondsworth, Middlesex, England: Penguin Books, 1996), p. 113. Return to text. A.H. Brush, On the origin of feathers, Journal of Evolutionary Biology 9:131–142, 1996. Return to text. M. Denton, Evolution, a Theory in Crisis (Bethesda, MD: Adler & Adler, 1985), p. 199–213; K. Schmidt-Nielsen, How birds breathe, Scientific American, December 1971, p. 72–79. Return to text. Engineers make much use of this principle of counter-current exchange which is common in living organisms as well—see P.F. Scholander, The wonderful net, Scientific American, April 1957, p. 96–107. Return to text. Michael Denton, Blown away by design, Creation 21(4):14–15. Return to text. A. Feduccia, The Origin and Evolution of Birds (New Haven, CT: Yale University Press, 1996). However, this book shows that the usual dinosaur-to-bird dogma has many holes. Return to text. K. Padian and L.M. Chiappe, The origin of birds and their flight, Scientific American 278(2):38–47, February 1998, p. 43. Return to text.